Driver: San Francisco is a sandbox-style action-adventure driving video game developed by Ubisoft Reflections and published by Ubisoft. The game formally was unveiled at E3 2010 and was released in Australia on September 1, 2011, Europe on September 2, 2011 and North America on September 6, 2011on PlayStation 3 and Xbox 360, while the Microsoft Windows version was released on 27 September 2011. The game takes place six months after the events of Driv3r. It is revealed that both John Tanner and Charles Jericho survived the shootout in Istanbul. In the game's trailer, it is revealed that since then, both men have recovered and Jericho has escaped to San Francisco, while Tanner and his partner; Tobias Jones have pursued him there. Jericho is shown being transported in the back of a prison truck, but manages to escape with help of hired assassin Leila Sharan, who hijacks a KEOC news chopper and fires an RPG at the convoy, and a vial of acid hidden within his mouth by a paid off guard. He overpowers the guards, and hijacks the truck. Tanner and Jones witness this from Tanner's car, pursuing Jericho as he causes havoc on the streets of the city. Tanner ends driving in front of Jericho in an alleyway, who, using the truck rams Tanner's car into the path of a tractor trailer, resulting in a devastating crash, putting him into a coma. The majority of the game takes place in Tanner's coma dream. Whilst in a coma dream, Tanner soon discovers his ability to "shift" into another person's body, retaining his persona but, to everyone else, looking and sounding exactly the same as the person he has shifted into. Using this confusing power, Tanner helps some teenagers win street races to get money for college fees, aids some vigilante ex-cops remove fake medicine from circulation and lends his driving abilities to police officers hunting down criminals whilst trying to figure out Jericho's plan. After deducing that Jericho is after the materials to create a cyanide gas bomb, he shifts into Ordell, a low-time crook looking to rise up through Jericho's organization. Unfortunately for Tanner, he discovers that Jericho can also shift, and realises that when he is not in his body, Jericho can take over. He is deconspired, when disguised as Ordell, drives Leila to her target (John Tanner). Eventually, Tanner realises that he is in a dream world when the strange messages from the real world creep into his mind. Jericho's powers become more potent, but as it is in Tanner's head, he is over-powered and defeated when Tanner assumes control of his mental projection of the city. In a mental visualisation of a police interrogation room, Tanner begins questioning his mental projection of Jericho and realises that the news reports from the television in his real-world hospital bed are feeding his coma dream. From this he knows of a real-world bomb plot, but deduces that it is not real - Jericho is a gangster, not a terrorist. Finally waking up, Tanner requests his car keys from Jones, who reminds him of the truck that hit his Dodge Challenger. Leaving in Jones' Camaro and heading for downtown San Francisco, which is being evacuated due to a bomb threat, a massive cloud of gas erupts. Driving into it, Tanner finds escaping convicts, confirming his theory that it was not a real terror threat. Jericho made a deal with a prisoner for US$30 million to break him out of jail. The 'bomb' was in fact a smokescreen. After a pursuit, Tanner sees Jericho head into the docks. Whilst at first appearing to be a game of chicken and a potential head-on collision, Jones appears in a police SUV and rams Jericho. Tanner claims that he knew what he was doing, but Jones reminds him whose car he was driving before suggesting a well-deserved beer. The fact that Jericho got T-boned, just like Tanner at the beginning of the game, and the song "Eye for an Eye" playing in the background, implies that Jericho was put into a coma. A new feature is Shift, which allows Tanner to shift from a car into another car and continue the mission.One of the inspirations for Shift comes from Google Earth.The game is also being described as a "return to the roots" to the series as the ability to get out of the car, which was introduced in Driver 2, has been removed as the developers felt that too many games have this kind of feature already and "it wasn't desirable [for us] to just copy that exact mechanic. "With Shift, the player can also start missions. As well as the ability to use Shift, all cars will be equipped with a 'boost' feature, requiring the player to push up on the left thumbstick to use it. Players can also push L1 on the PlayStation 3 or the left shoulder button on the Xbox 360 version of the game to perform a special 'ram' attack on cars. 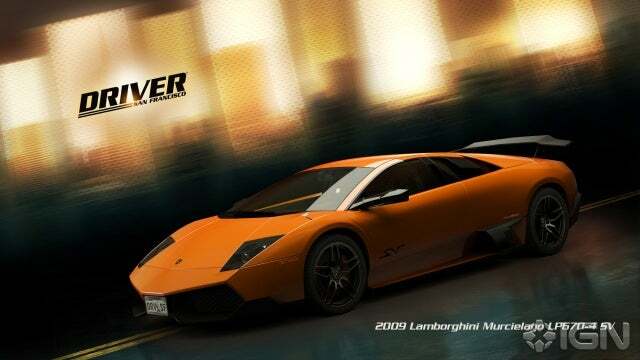 The film director mode, which was absent from Parallel Lines, also returns, and players can share their videos on the Driver Club website (until it was removed by Ubisoft).The game runs at 60 frames per second. The game has one of the largest driving environments. The game's San Francisco recreation has about 208 miles (335 km) of roads.Various landmarks are recreated in the game including half of the Bay Bridge and parts of Marin County and Oakland. 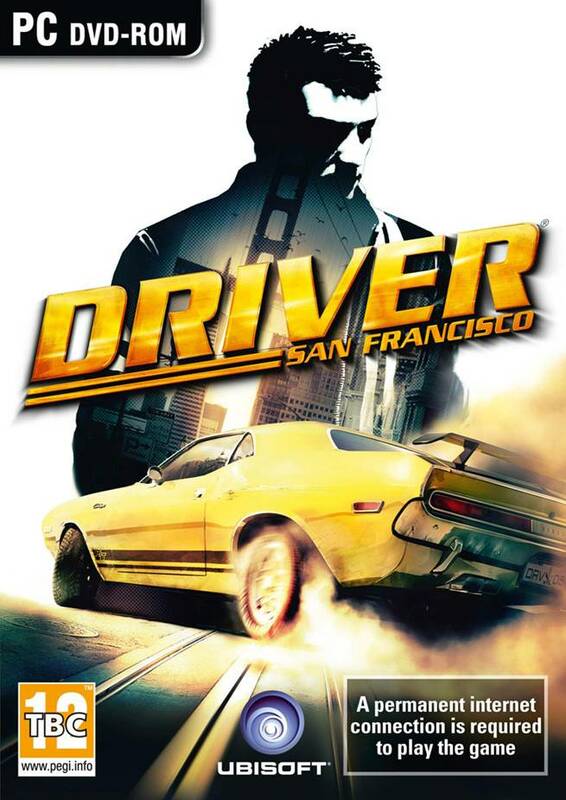 In the Wii version, however, access to the Golden Gate and Bay Bridges are blocked, thus preventing the driver from driving through parts of Marin County and Oakland.Split screen and online multiplayer are also available for the first time in the series with 19 different game modes including trailblazer, tag, sprint GT, cops and robbers, among others. In Trail Blazer, the players have to follow the trail of an AI-controlled car to accumulate points. The player who accumulates more points will win the match. The Tag game mode is similar to regular tag, but in reverse. All the players are trying to "tag," or hit, one player. Once he is hit, the person who tagged him is now it.The multiplayer will also have experience points.However, it is a more fictionalized interpretation of these areas. Split screen and online multiplayer are also available for the first time in the series with 19 different game modes including trailblazer, tag, sprint GT, cops and robbers, among others. In Trail Blazer, the players have to follow the trail of an AI-controlled car to accumulate points. The player who accumulates more points will win the match. The Tag game mode is similar to regular tag, but in reverse. All the players are trying to "tag," or hit, one player. Once he is hit, the person who tagged him is now it.The multiplayer will also have experience points. For the first time in the series, the game includes 140 fully damageable licensed vehicles ranging from buggies, muscle cars, and sport cars including Alfa Romeo, Aston Martin, Bentley, Ruf Automobile, Dodge, Ford, Shelby, Volkswagen, Pagani, Lincoln, DeLorean, Lamborghini, and Cadillac.